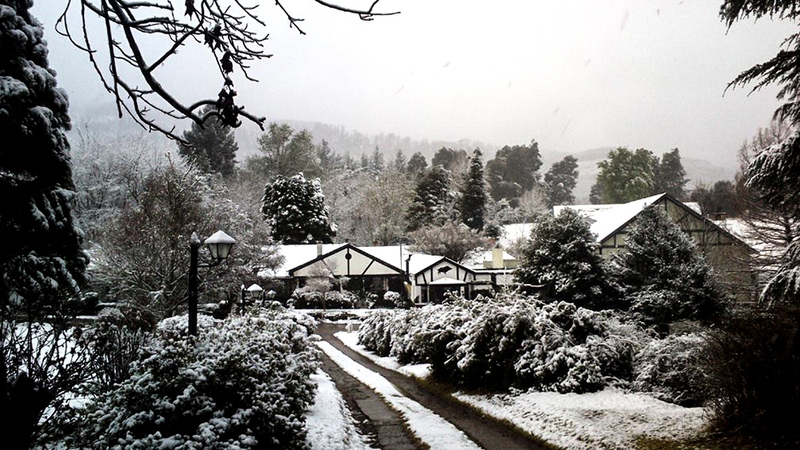 Home News & Reviews News & Features The Historic Hogsback Inn, Hogsback, Eastern Cape. We have been thinking about sharing some of the cool spots we have discovered during our travels. Tell us what you think. 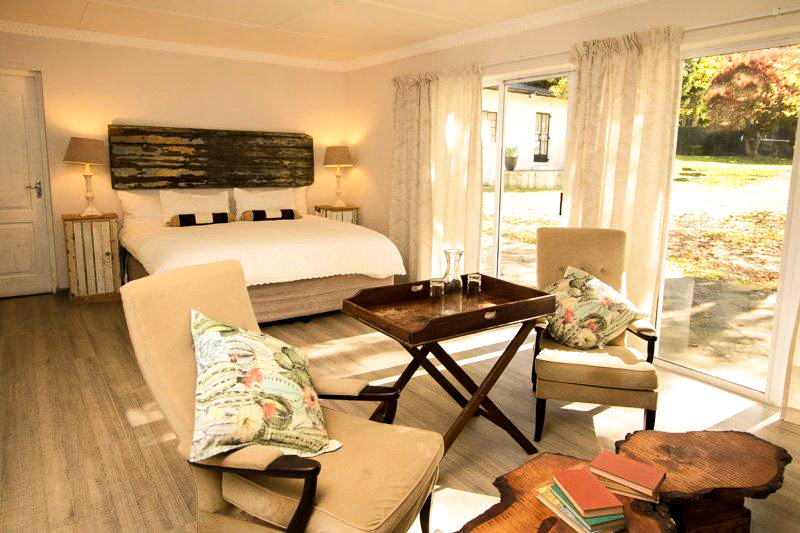 Belinda Ayre, from the Hogsback Inn sent us an introduction to the Inn recently. I have made a point of overnighting in the beautiful little village of Hogsback during my Eastern Cape meanderings. 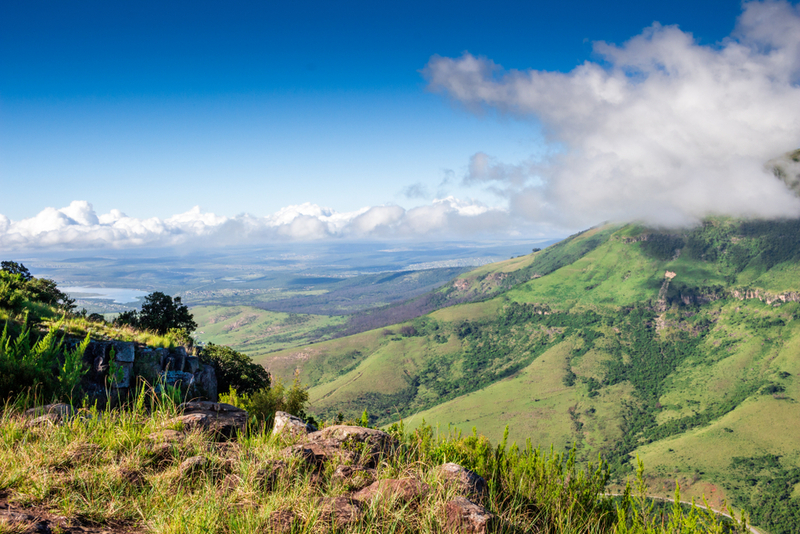 Perched high on the edge of the Amathole mountains, Hogsback is off the main road to East London, as well as to PE, so you need to make an effort to get there. Typical of when you do make a bit of effort, it is well worth it. 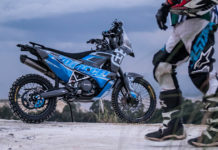 If you tour on a road bike you would approach on the tar road from Fort Beaufort, south west of Hogsback, or on an adventure bike, and dig the dirt, from Cathcart to the east of Hogsback. 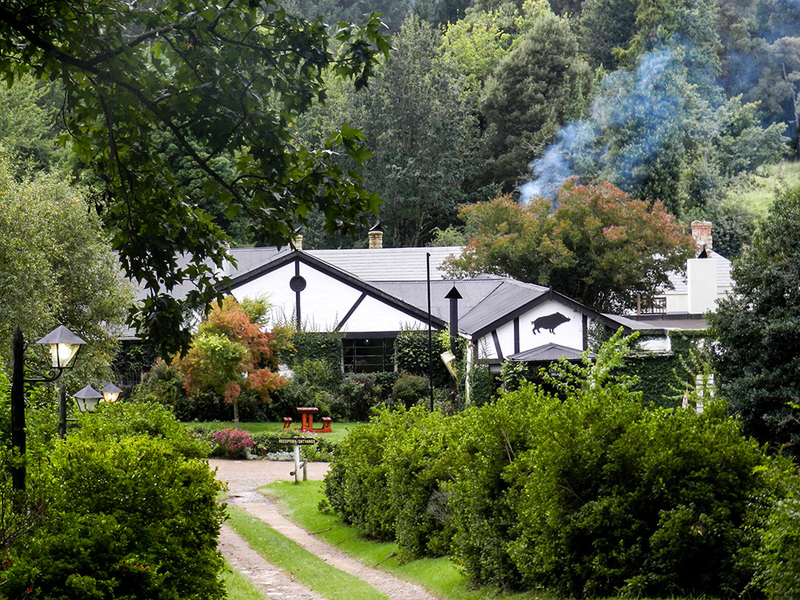 The Hogsback Inn is neat and tidy with that typical charm of a small town Inn. The Eastern Cape has some spectacular scenery and is a must for bike touring both on tar and dirt. Hogsback is one of those spots that, once you have been there once, lures you back again and again. Set high on a plateau in the heart of the Amathole Mountains, surrounded by the indigenous forests and the many waterfalls that flow under the tree canopy, you will find The Historic Hogsback Inn. 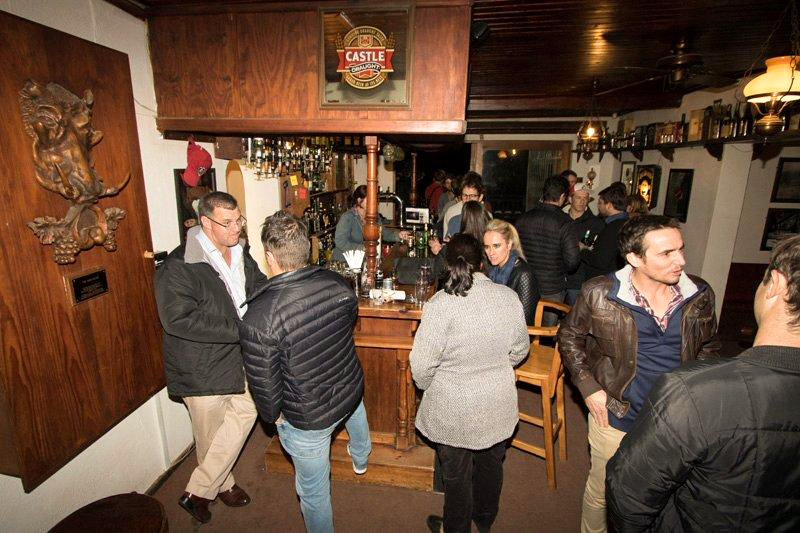 We offer good food, good drink and a cosy atmosphere, often in the company of any one of Hogsback’s interesting and “colourful” residents. We are situated just off the main road, nestled in beautiful natural surroundings against the three peaks, with our own little stream running through our gardens. We have kept the country charm and elegance that has made us a local landmark. Our old English-style Tavern and Inn offer an olde world feel steeped in history and tradition. Beautiful trees, clean air and tranquillity – so many reasons to visit, only one place to stay! 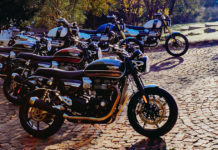 We are very keen to accommodate bikers and biker groups, whether you’re looking for a one night, en route, stop over or a few days exploring our beautiful and interesting region. 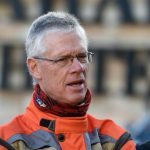 We are very popular with groups like Red Cherry Adventures (Mike Glover and the team are on the mountain at least twice a year); we have BMW groups from Pretoria come and stay; Ulysses Centurion are coming in April and the touring company, SA Adventures, came through recently. On offer are 10 x Standard Hotel Rooms, 6 x Riverside Suites and 3 x Self-Catering Units. All rooms are decorated in their own unique way and offer guests a comfortable stay. Rooms are serviced daily and offer amenities such as DStv, tea, coffee making facilities; some rooms have heaters and others have fireplaces. Stay awhile and get to experience more of the charm and warmth of The Historic Hogsback Inn. 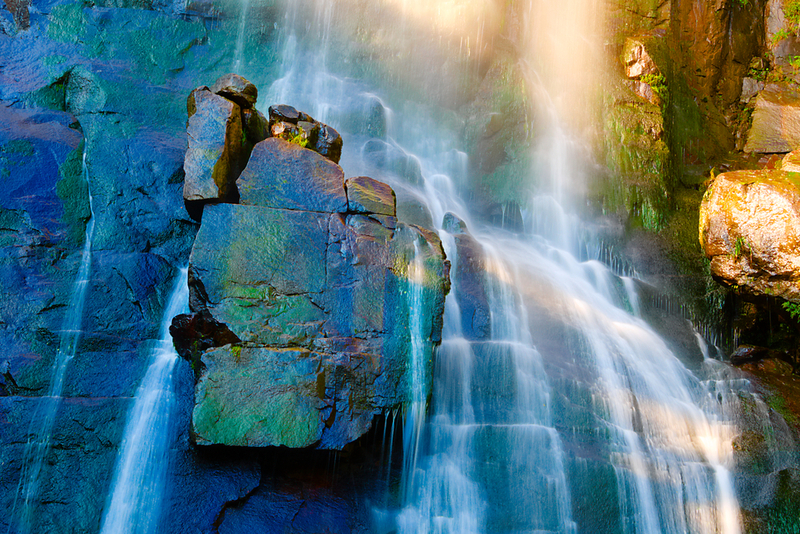 Hogsback offers the visitor a rich variety of things to do and experience. And, of course, the opportunity simply to forget the rat-race for a while and chill-out in the most beautiful and tranquil of environments. 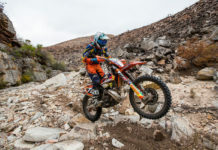 Bikers who stay with us for a few days tend to go adventure biking and as part of their preparation, we send scouts out a week before their arrival, to assess the condition of the roads, etc,. 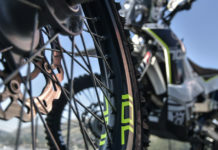 Hogsback in general lends itself to so many different biking routes of interest and we can provide details of these in advance of your visit. 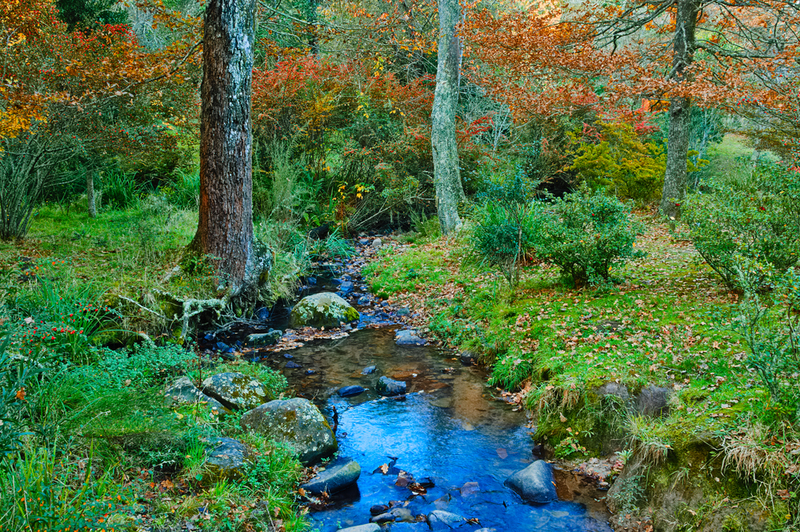 Another way to experience the beauty, the silence and the restfulness of Hogsback is on foot. There are heaps of hiking routes and walks that will take you through the forests, up the mountains, past the waterfalls, and to spectacular views. The bird life in Hogsback and surrounding areas is very interesting and varied – we have 150 bird species in and around the village? And, we can arrange for you a ride on horseback to see the paths less travelled through the beautiful Amathole Mountains and forests. 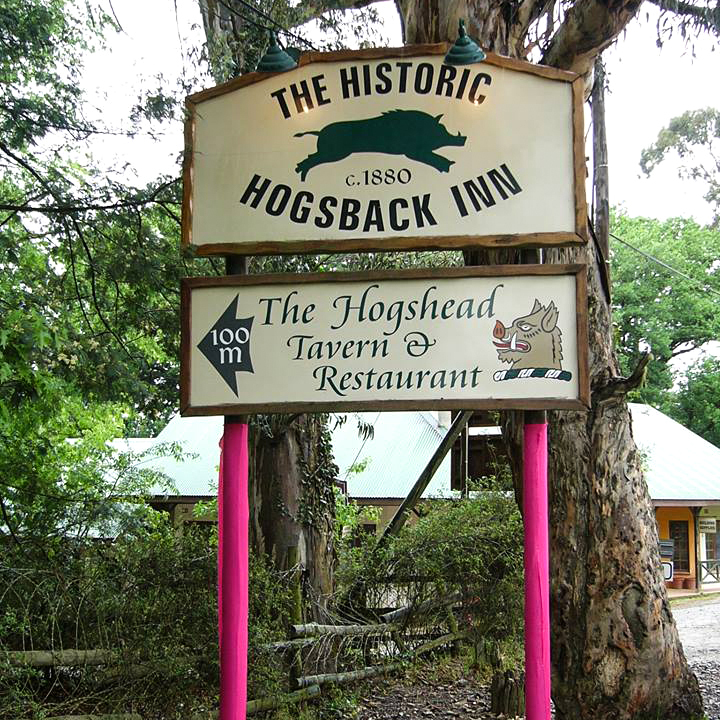 Oh, and by the way, being the oldest accommodation establishment in Hogsback, we boast the original pub; the legendary Hogshead Tavern. 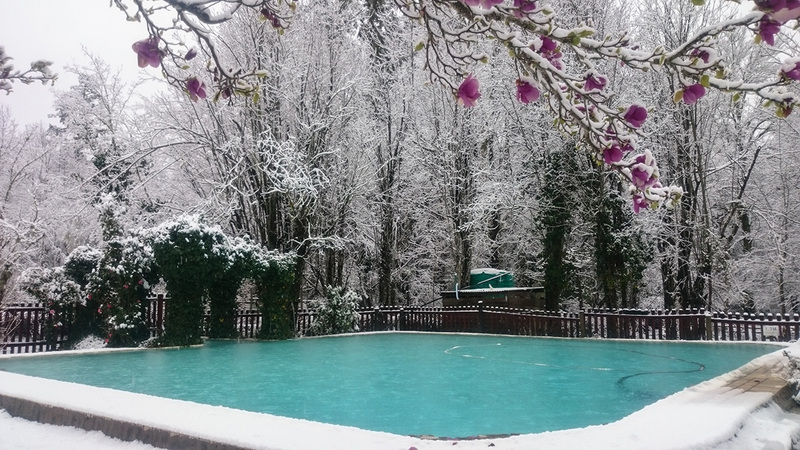 From bountiful natural gardens in Spring and Summer to snow in Winter, The Historic Hogsback Inn offers many pleasant surprises to its guests and we negotiate and tailor-make packages to suite each groups needs. Should you require any further information, please do not hesitate to contact us and we will gladly assist. We look forward to welcoming you to our little piece of paradise! !